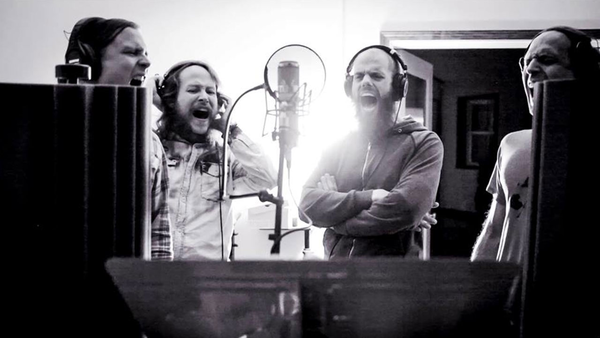 Fans of alt/sludge/prog metal mastery, Baroness, have something to be excited for with today’s release of “Ultraviolet”, a glimpse into the making of the band’s forthcoming release “Purple”, the band’s follow up to the breathtaking double album “Yellow & Green”. Keep reading for the only press release I’ve been excited enough to publish. Baroness share “Ultraviolet” [Making Purple], giving fans the first look at the making of the band’s first new album in three years, Purple (Dec. 18, Abraxan Hymns. Pre-orderHERE). The clip features John Baizley discussing the moment he got off the road from promoting Yellow & Green and the inspiration for the new songs. Dates for the band’s forthcoming U.S. tour are listed below, tickets are on-sale now viawww.yourbaroness.com/tour.